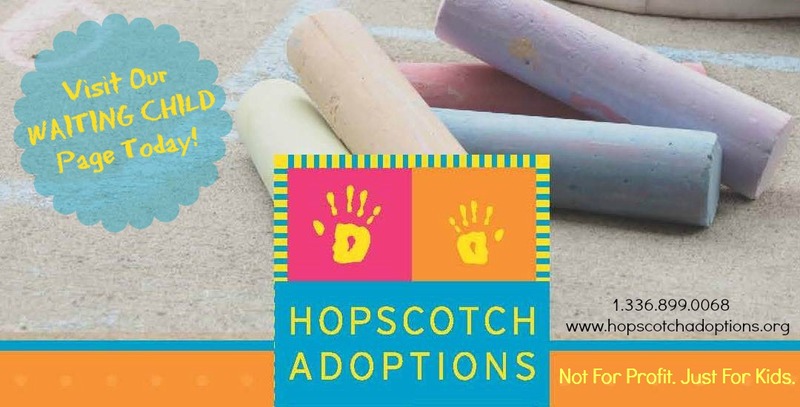 We interview Carrie O., adoptive mom and creative fundraiser, on how their family addressed the costs of adoption. Carrie, tell us about your journey toward adoption. Eric and I (Carrie) have talked about adoption ever since we started adding to our family. After we had our third child, for various reasons, we knew we were done, at least biologically. In December 2012, our eyes and hearts were opened to the reality that this journey might just be for us, for this time. We are followers of Jesus, so it’s impossible to tell our story without including our faith and trust in God; who we believe planted this dream in our hearts and showed us that He would help us, guide us, give us strength, ideas, and creativity, and ultimately provide for us. We have relied on this truth along the journey so far and we haven’t been disappointed, only encouraged and spurred on. What were your initial reactions to the costs of adoption? After much prayer, interviewing several friends who have adopted in different ways, researching, and going to an adoption conference, we were led very specifically to adopt internationally, China exclusively – and we also felt we would bring home two children at once. That is more money than I can fathom, and not a normal budget line-item, and to raise it in approximately 15-18 months was massively intimidating! But we relied on our God, knowing that if He called us, He would provide, show us how to raise the money, and make it happen. How did you plan to manage the costs of adoption? Because of our annual salary, adoption costs weren’t quite in our budget, nor in our immediate savings. Even being debt free (except our home), managing the costs can be hard. I can’t say we really had a plan. Thankfully, in the beginning, we had some friends who adopted internationally encourage us that “all the expenses aren’t paid at once. You have time on your side.” And this has been so true. We knew we needed to do our part first. So, at the recommendation of another adoptive family, we began simply by cutting back in our budget. We agreed with our three kids that buying needs over wants would take precedence. We would be sacrificial and give up birthday fun and even go “simple” on Christmas and vacation. (These are still important though!) We were surprised at how much money we started saving! And we survived. This was such a learning time for our family too. For the rest of the costs, we planned on getting the word out, doing several fundraisers, along with applying for grants. Our last resort would be adoption loans and the possibility of dipping into long term savings. We had to trust God, especially since we didn’t want to go into debt. Our friends who have gone before us on this journey gave us the best and most helpful advice. 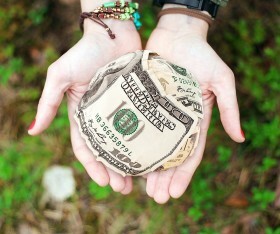 There are several websites as well, that give a wide array of ideas on how to fundraisers. Along the way, we’ve experienced that it’s not beneficial to look at the total amount owed or you will be overwhelmed, but take it one upcoming expense at a time. What methods of fundraising did you use? What worked and what didn’t? We used all different types of fundraising. We saved personally each month. We made hand-crafted items and sold them. Friends made stuff for us to sell. We had a huge multi-family garage sale, held a silent auction and dessert night, had a karate benefit tournament, a benefit square dance, applied for grants, and sent letters telling our story to friends, family, and acquaintances. These letters resulted in generosity from countless people, in sums of small and large amounts, and even matching company donations. What worked first and foremost was getting our story out and being excited about it. That is contagious. And when others feel the excitement, they get excited and want to partner with you. Secondly, we had a motto of keep it simple and use what we have, along with what works with our abilities and passions. This makes the fundraising enjoyable, and while it might be labor-intensive, it seems easy and becomes fun. For example, I love to make cards. I had existing supplies so I made cards and sold them in packs. Our daughters knit, and someone donated yarn to us, so they made scarves and sold them. Eric’s mom loves square dancing. She organized a benefit dance, the callers donated their time, the grange was donated, and people showed up. It was fun! One important piece of advice about fundraising events is: don’t keep your focus on the end amount that you think you might raise. If you have an idea of what you might raise, and you don’t make your expectation, this sets you up for disappointment and steals the joy and fun from fundraising. Have “fun – raising” money, and give thanks for those that do give and do participate. We experienced that it’s better to do fundraising in events or seasons, as to keep it fresh and new. While we sold cards, scarves, and earrings in the beginning, when I tried to sell those items eight months later, it just didn’t work. It also works better to offer a service or event people can participate in. People loved donating to our garage sale or auction night. Some people might not be able to give cash, but they can give time and items. Therefore you include all ranges of people and achieve a richer experience. What was the best moment of your fundraising experience? The most difficult one? We have had so many “best moment” experiences in our fundraising; it’s hard to pick just one. One was in the very beginning when Agape Adoptions called to tell us they’d received a $4,000.00 donation from a friend of ours, in our name. Little did we know that it would be matched by our friend’s employer a few months later (when our second child fee would be due), just at the perfect timing. It wasn’t just the big events like the auction night that were memorable. We can’t forget the dollar bookmarks, the $20 that someone slips us in passing, or the anonymous $1,000.00 gift given in church just this past week. Every little bit is meaningful and counts. We have been amazed and thankful for every person involved. 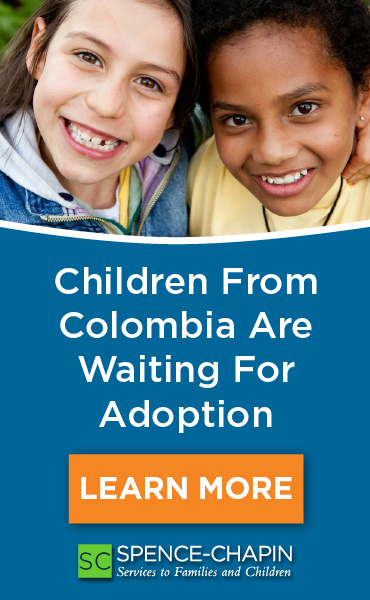 God loves adoption, and He has shown us this through the generosity of His people. One of the most difficult things about saving and fundraising is that life still goes on, and some things are just out of our control. Cars break down; teeth need worked on; roof leaks happen. On several occasions we had some larger, unexpected expenses, resulting in us not being able to save personally in those months. This was difficult because we want to do our part. But it was out of our control and worrying wouldn’t benefit us (not to say we didn’t have any worrisome moments). And when those times came, we just had to take a step back, pray, trust, and believe it would all work out. And it always did. God showed His faithfulness in our trust. And as each “out of our control” experience comes up, it becomes easier to hope and trust, knowing it will all work out. What wisdom would you share with families who are just starting out on their adoption journey? Be patient and don’t try to control every detail. Let others share in the joy of your journey. Walk in faith and thankfulness; do your part, work hard, and trust God in the journey.